Deke is made from a brown material with black button eyes and an embroidered nose. 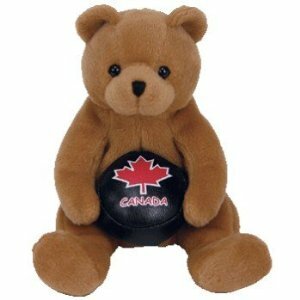 He carries a black hockey ball in his paws with a red maple leaf and the word “Canada” on it. ‘Cause I’m the best out on the ice! Deke was released on 31st January 2006. His birthday is on 26th January 2005. He was an ice hockey themed bear exclusive to Canada.